Okay maybe it’s not THAT big of an announcement, but this morning I woke up to a big surprise–firmware 2.1 had finally been released! There was a flurry of blog comments as many of you back East were already downloading the firmware while I was still sleeping like a baby. Anyways, as I wrote yesterday I was pretty excited and started the backup/update process myself. Let’s take a gander at my experience updating to 2.1 firmware with the following review. 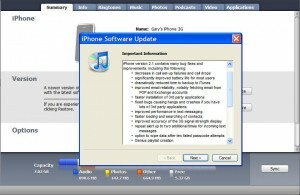 Once the restore process was completed, I just chose to restore from backup. Easy as pie. All my jailbroken apps are now gone. I’m willing to forego jailbreak apps for a speedier iPhone experience. I immediately noticed the keyboard lag had disappeared. I’m not lying this time, but really it’s gone folks! 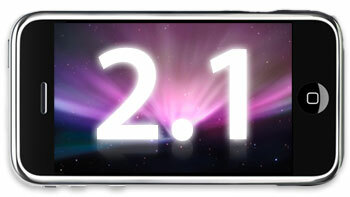 2.1 feels very “snappy” and quick. However it’s not perfect–I just experienced my first freeze while I was using Safari and had to do a force reboot (I was trying to do a speed test). There are new EDGE and 3G icons. Also, as you will see in the pics below, Erica’s MakeItMine app still has my carrier as “Gary” instead of Rogers! LOL. If I chose to “Setup as a New iPhone” and not backup, this carrier logo would be eliminated. But as for now, everything works great. Go to Settings–>General–>About–>Carrier reads “Rogers 2.6″…will be interesting what this means, if any. Modem firmware is now 02.11.07.
obviously these speeds will vary by location/time of day, so test for yourself! So there you go folks, so far so good. 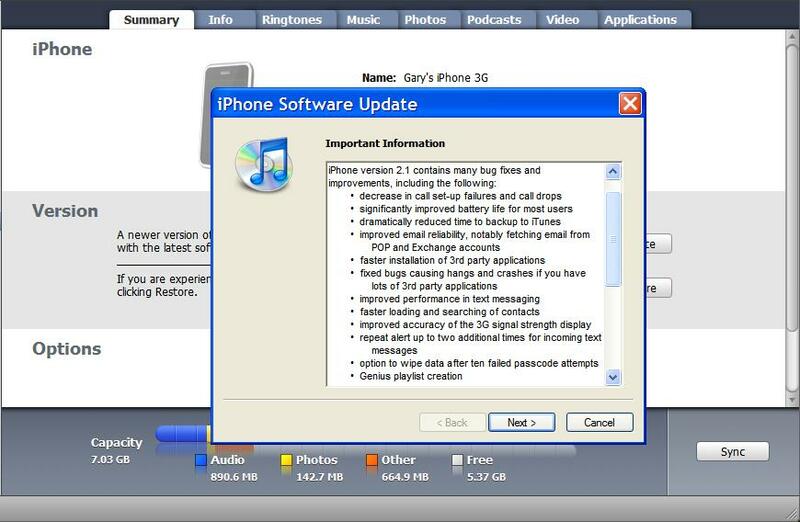 Thanks to Apple for listening to its customers and submitting a fix for all the iPhone bugs that existed before. I’m not used to this super fast keyboard typing experience all of a sudden! It’ll be interesting to see just how my battery life will be improved with 2.1. I’ll try to follow up on this later after some more testing. How did your 2.1 update go? Congrats to Tim Aucoin for his wonderful poem! I let some friends decide for me, and they chose Tim’s poem as their favorite. Well done TIM and CONGRATS! Thanks to everyone who entered! Look forward for MORE giveaways coming your way!